At Vista Eye Care, we believe strongly in giving back to the community and caring for the eyes of all those in need. Outreach programs represent an opportunity to show the community the level of commitment our optometrists have to their community. The staff also plays an important role in community outreach. The Community Food Bank of Southern Arizona is at the forefront of fighting hunger in our communities. They address the root causes of hunger by empowering families in need, while providing access to safe, sufficient and nutritious food. Vista Eye Care is proud to support the efforts of the Community Food Bank by running Food Drives in our office. 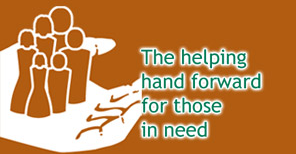 During a Food Drive, we offer a discount to selected services to our patients in appreciation of their food donations. CLICK HERE to see the full sized poster for the Food Drive we ran during the holiday season of 2014. We are supporters of Valley Assistance Services where Dr. Bartoletti served on the Board of Directors for 4 years and headed the Annual Gala Auction for several years. Currently, we are sponsors for their events and donate to this worthy charity. Dr. Bartoletti also participates with VISION USA, an Optometry Cares program that provides free eye exams to low income Americans across the U.S.
Read more about VISION USA. Vista Eye Care volunteers time to help with vision screenings in the elementary schools in Green Valley and Sahuarita. Our technicians help the school nurses at Continental Elementary School, Air and Space Academy, and Digital Technology Academy by performing vision screenings on every child in grades K – 8. The vision screenings include eye testing for distance vision which most commonly detects myopia (nearsightedness) and astigmatism, and testing for near vision and binocular vision to detect high hyperopia (farsightedness), amblyopia (commonly known as “lazy eye”) and strabismus (sometimes called “crossed eyes” or “wandering eye”). Eye health is important and by getting into the schools Vista Eye Care can stress that importance. Early detection of vision problems is important to a child’s educational success and quality of life.